Take part in a sponsored event and raise money for people living in poverty, while having fun! Search for an event near you then tell us about your event to join Team CAFOD. By buying your own place in an event, you'll save CAFOD this upfront cost and we can ensure all of your sponsorship goes towards our essential work overseas. We won't set you a sponsorship target but will support you in raising as much as you can. 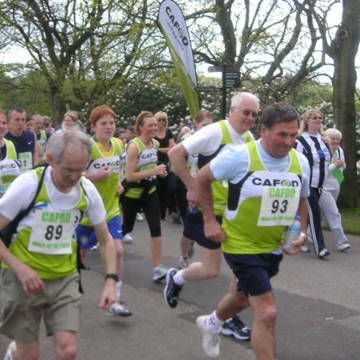 Please let us know via our online form once you've entered your event so that we can welcome you properly to Team CAFOD. We'll be in touch to wish you luck and send you a vest. In the meantime you can start collecting sponsorship today by setting up your JustGiving page, setting up a Facebook Fundraiser or downloading a sponsorship form. Please email events@cafod.org.uk or call 0303 303 3030 for more fundraising support. Would you like a CAFOD sports vest? Maximise your fundraising efforts with our sponsored events tips and toolkits.